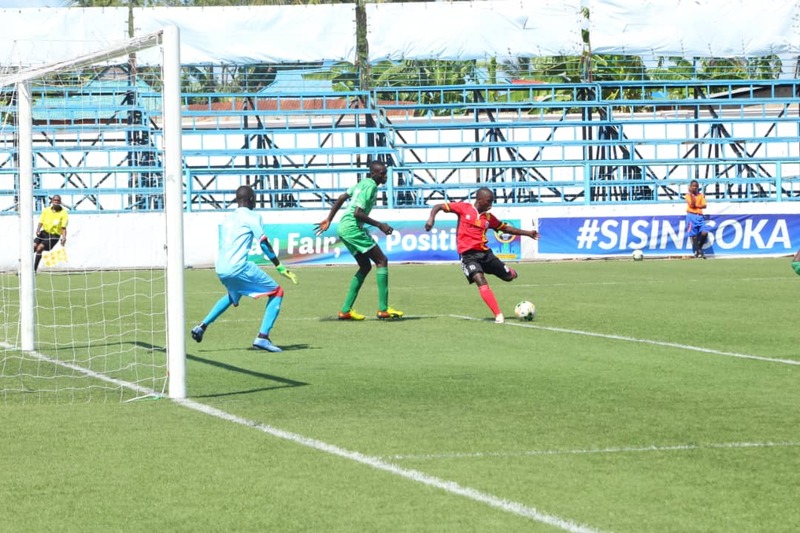 The Uganda U17 National football team, the Cubs produced a magnificent performance en route to defeatin South Sudan 6-1 at the on goingn CAF-CECAFA Zonal qualifies on Friday. Davis Ssekajja scored four goals while Thomas Kakaire added the other two to guide the team to a comfortable victory. Head coach Peter Onen made two changes from the team that lost to Ethiopia starting Ivan Asaba and John Rogers ahead of Iddi Abduwalid and Najib Yiga respectively. With the team knowing that they had to win the game after losing the first 1-0 to Ethiopia, they dominated proceedings right from onset with Sekajja opening the scoring as early as the third minute. He later doubled the lead in the 18th minute before completing his hat trick on the day before halftime. Kakaire’s brace also came in the opening 45 minutes and Uganda led 5-0 heading into the interval. Sekajja who plays for Bright Stars Junior Team added his fourth and sixth for Uganda on the day in the second stanza before Joseph Manase got South Sudan the consolation in stoppage time. Victory means, Uganda moves to second place on three points same as Kenya and South Sudan. Ethiopia less the group on six points while Djibouti are bottom of group B with no point. Uganda’s next game will be against Kenya on Sunday before facing Djibouti in the final group game. The winner of the tournament will qualify for the 2018 U17 Africa Cup of Nations that will still be hosted in Tanzania. Delton Oyo, Samson Kasozi, Kevin Ssekimbega, Gavin Kizito Mugweri(C), John Rogers, Ibrahim Ekellot, Polycarp Mwaka, Thomas Kakaire, Davis Ssekajja, Ivan Asaba,Ibrahim Juma.